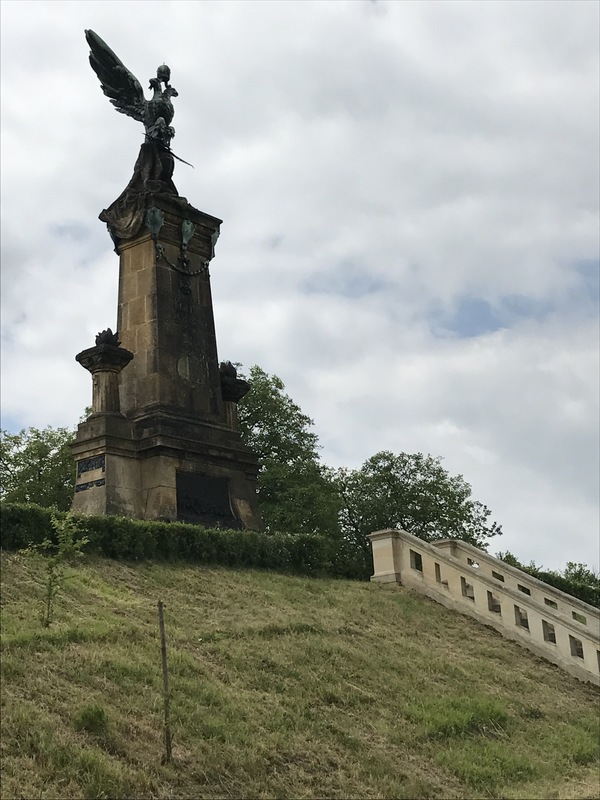 Being in Prague recently I took the opportunity to visit the battlefield of Kolin. As it transpired I was on the battlefield on the 13th of June, just short of the anniversary. Unlike some who have visited this battlefield as part of a tour, I was visiting by myself so ensured I had a reasonable selection of maps. In particular I had “Fredrick the Great A Military Life” by Christopher Duffy and “Kolin 1757” by Simon Millar. For completeness I also took a copy of Frank Chadwick’s Kolin Scenario map designed for use with Volley & Bayonet. I found Millar’s maps particularly useful on the day. 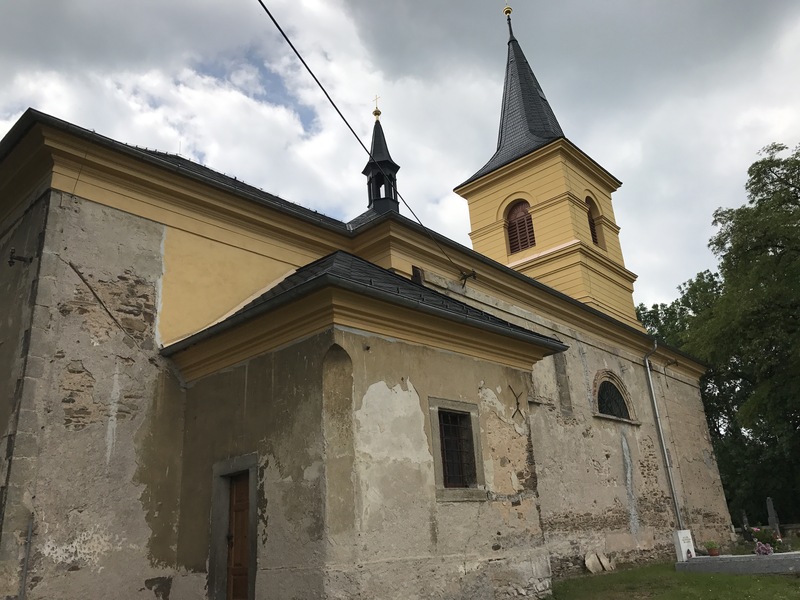 I approached the battlefield along the the Kaiser Strasse and visible on the right, in a commanding position, was the spire of Krzeczor church and the Austrian monument. The ground sloped upwards from the Kaiser Strasse to the Austrian positions. Turning off the Kaiser Strasse it was a strait forward process to drive into Krzeczor. A short walk then took me to the Austrian monument. It was at this point it became very apparent how significant the slope was. Unfortunately, the picture doesn’t do the justice to this slope. You can however see vehicles on the Kaiser Strasse. Then above this sits the earthworks and on the earthworks the monument. Above, looking back towards the village of Krzeczor, distant right, but obscured. Below the monument. Walking back to Krzeczor even today the church remains a significant building. While today it is little worse for wear it sits in a commanding position and I was struck by its defensible nature, especially considering the stone wall that surrounds it. Below, a view from the grounds of the church looking towards the Kaiser Strasse. Just visible in the foreground is a portion of the churchyard wall. The 800 or so Croats had a strong position, reinforced by additional infantry it would have been extremely difficult to secure. Now, back to the monument. Of particular interest was that beyond the monument the hill flattened effectively creating a plateau. 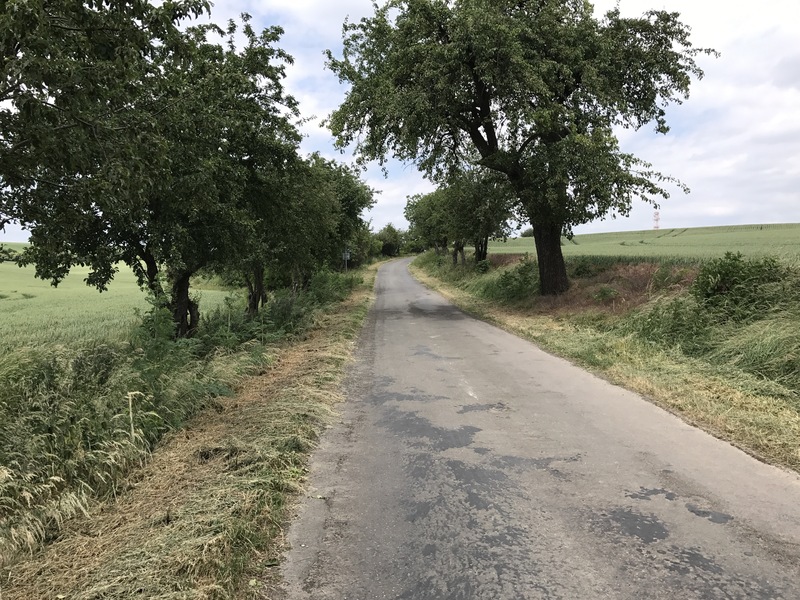 There is a slight rise towards the Krzeczor Hill summit, illustrated in Millar’s book, but it was a minimal slope compared to that running from the Kaiser Strasse to the village of Krzeczor and monument. I’ve tried to illustrate this in the next two photos. Above, a view on the plateau from the road between the villages of Krzeczor and Bristivi. Careful inspection will show the rear of the Austrian monument, an eagle wings extended, sitting high among the left wooded area. Krzeczor village is on the right obscured. The Kaiser Strasse is completely obscured from view on the plateau. 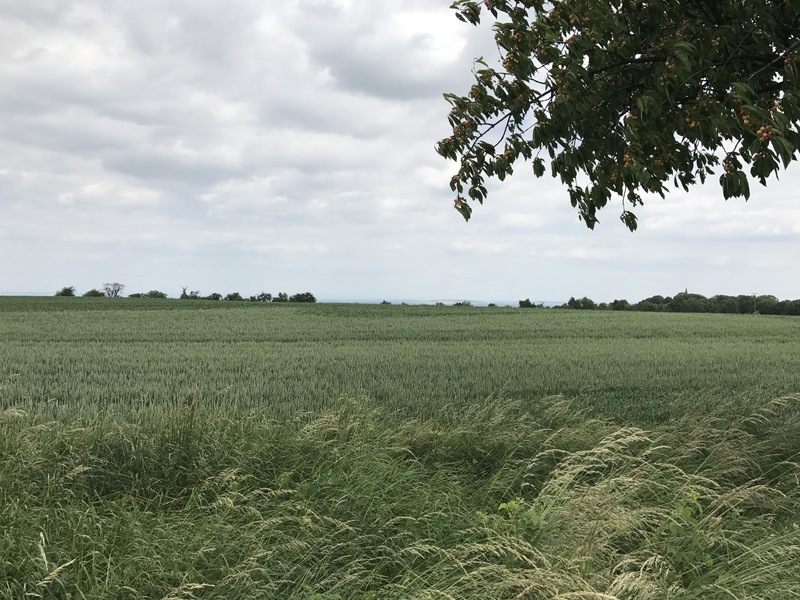 Now, the Prussians advanced across this ground, having driven the Croats from their positions, crossed the road where I’m standing and engaged Wied’s Austrians in the distance of the photo below. Again there is almost no level change here. To the east of these photos is the location of the Oak Woods. As Millar details in his book the Oak Wood has gone. 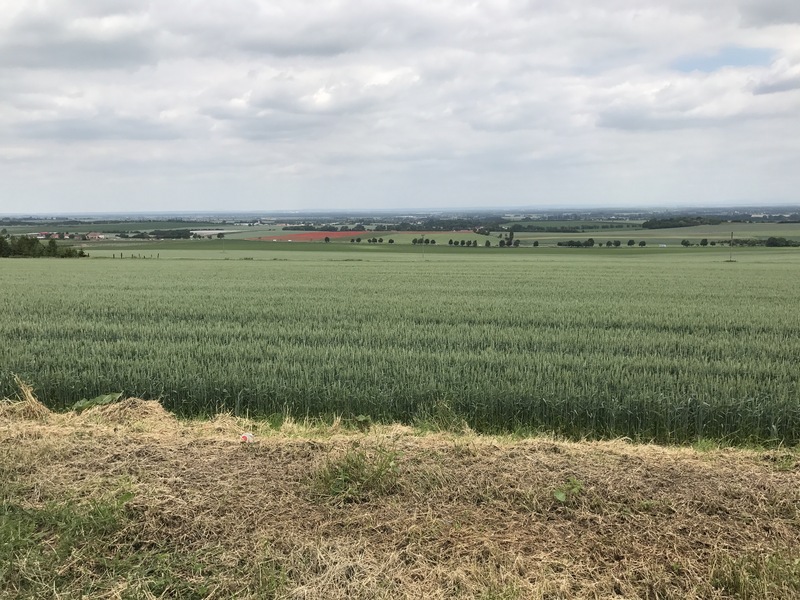 However, driving east from Krzeczor village to Radowesnitz village the terrain is very rolling with multiple undulations and extremely limited line of sight. Millar’s map suggests some undulation but it is if anything understated. 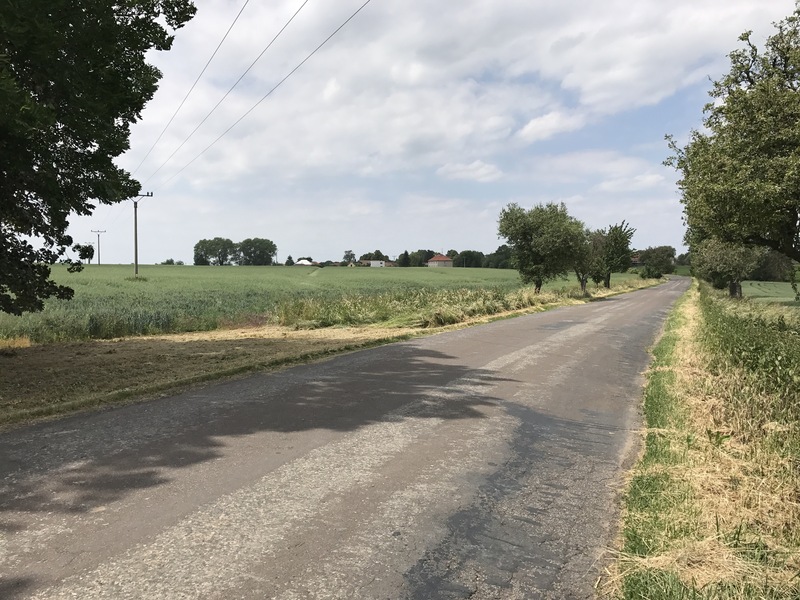 A road from Krzeczor village tracks directly from the rear of the village towards the west end of Krzeczor Hill and behind the Austrians line in the photo above. 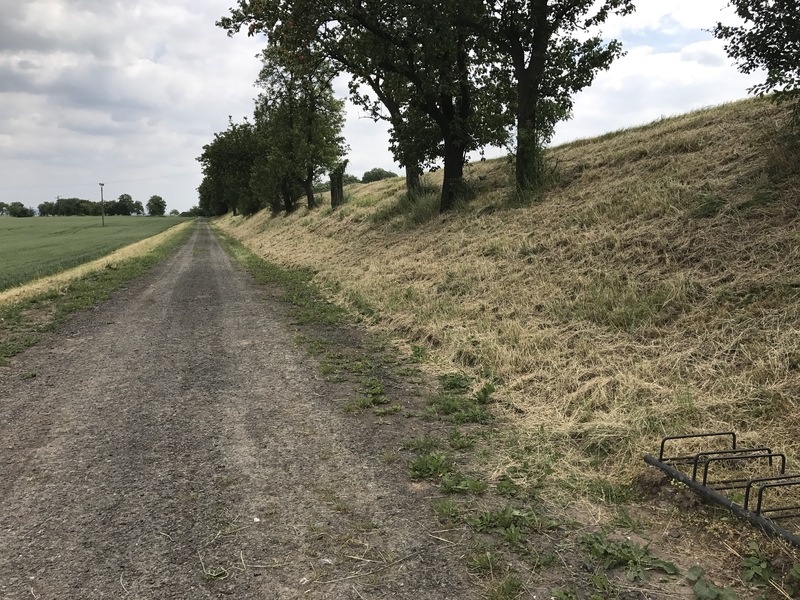 There is a very gentle slope west to the top of Krzeczor Hill, but on reaching the top, today marked by some trees, the ground sloped off quickly to the west. From here the Przerovsky Hill (right centre) can be clearly rising in the photo below, This hill marks the western end of the Austrian infantry line. Note the road in the left going downhill towards Libodritz. The ground from Bristivi through Chotzemitz and Brzesau is also on a slope and uphill from the Kaiser Strasse. However Chotzemitz and Brzesau are effectively hidden from the Kaiser Strasse by intervening ground. This is not apparent on any of the maps. Przerovsky Hill, west of Krzeczor Hill, is a dominating feature. 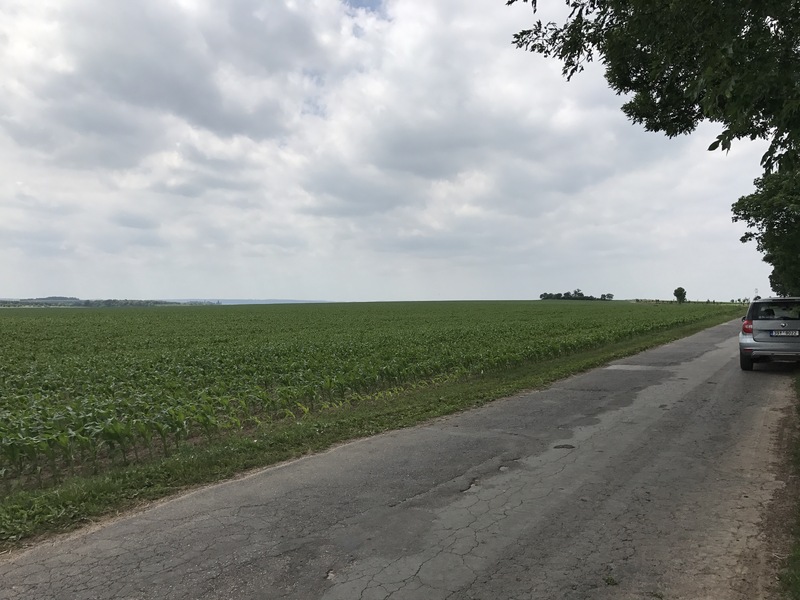 However the road that connects Chotzemitz to Libodritz is itself steep and would have been a considerable obstacle to advance over. On Duffy and Millar’s map the ridge is extended, on Chadwicks interpretation it isn’t, though in my opinion it needs to be. I couldn’t find anywhere to park on the Prussian side so the photo below is taken from an Austrian perspective. 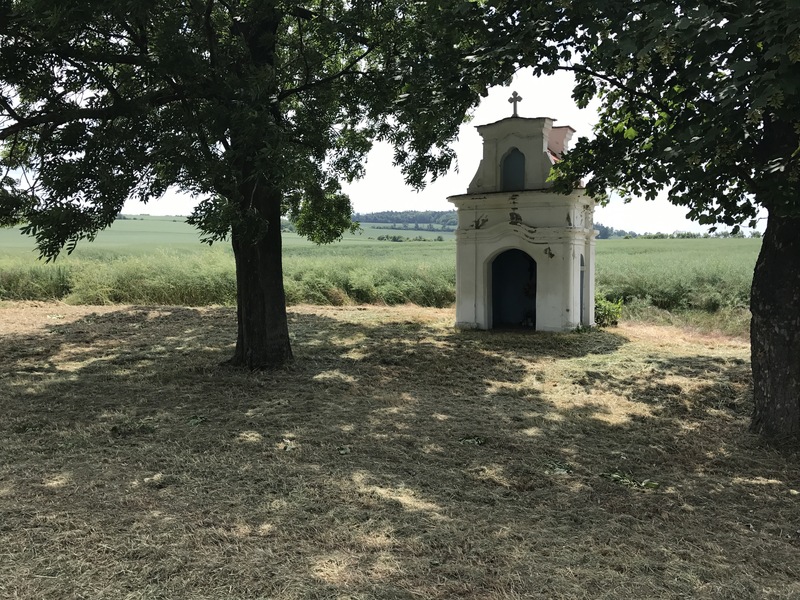 Between the villages of Chotzemitz and Brzesau Millar provides a photo of a small religious shrine, which I have included below as a reference point. If you look to the right following the road you see Brzesau, pictured below. 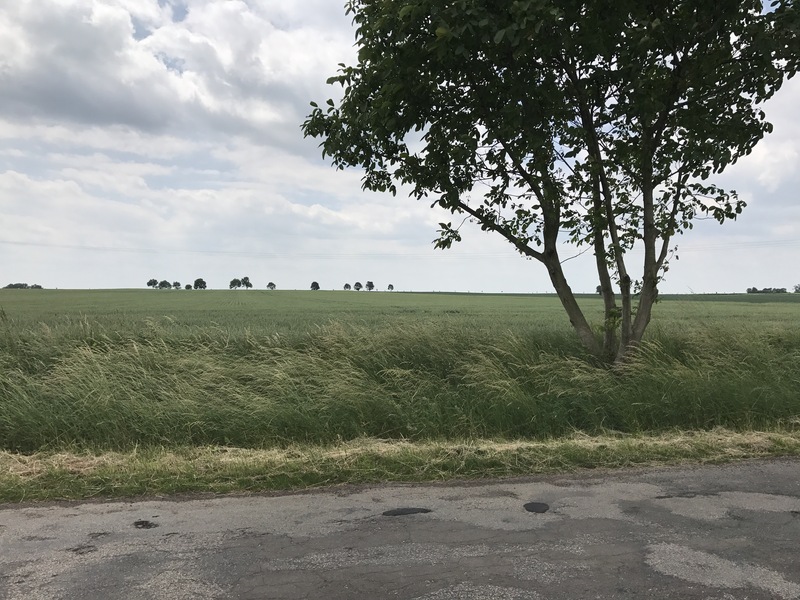 This is the area that the Prussian 20th, 25th and 40th Regiments would have advanced over. To their front was the Przerovsky Hill which can be seen below as the wooded high ground today. A portion of the shrine on the right as reference. Austrian infantry extend the line from the Przerovsky Hill which marked the end of the Austrian infantry line. I found the battlefield of Kolin very rewarding to visit. It is very much untouched. As a result it is very easy to see the Prussians and Austrians fighting across the fields even today. The visit however highlighted several points I hadn’t fully appreciated. 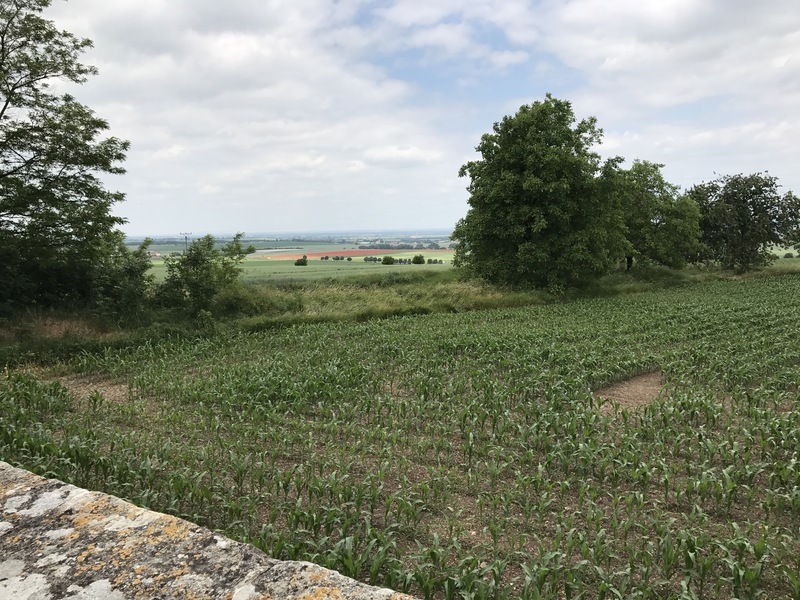 Firstly, the two hills form a much longer ridge which must have prevented Frederick from observing the Austrian movements. Some maps show this, but the extent was not apparent. If you are modelling the battlefield with a view to refight the battle I think one long ridge is important. Secondly, the significant plateau near Krzeczor village. Duffy touches on this when he writes: “…they had cleared the village and reached the celebrated Oak Wood behind. 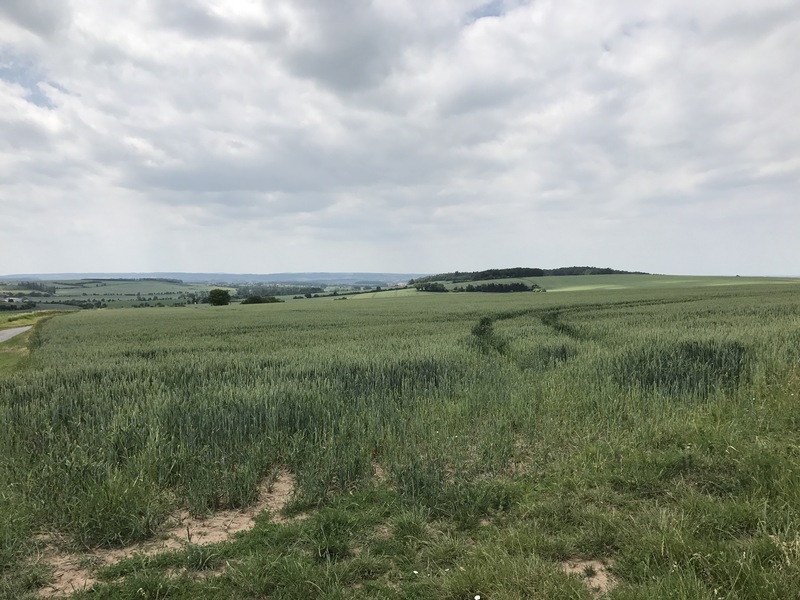 After this first success, instead of finding himself master of an empty ridge, Hulsen discovered that he was face to face with the Austrian division of Wied…” It really is a plateau and until you are on it you can’t see what awaits. 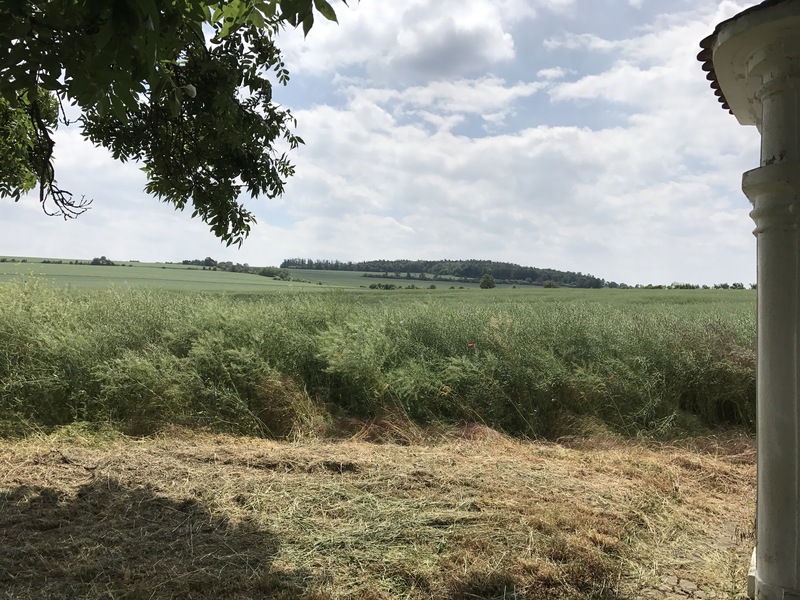 Finally, the rolling terrain around Radowesnitz. If using Volley & Bayonet extending the ridge beyond the Oak Wood will break line of site and help model the rolling terrain. Now, some logistics. If you are considering such a trip I hired a rental car from Prague’s Hlavni Nadrazi train station which allowed relatively straight forward travel to the battlefield thanks to clear instructions from my iPhone, I was travelling by myself. Your navigator may be as good as my phone but without it I wouldn’t attempt the trip. In fact I had more troble getting out of the train station than actually following the instructions on route. Finally, I would like to acknowledge the useful advice from my good friend Maurizio Bragaglia. Maurizio answered several questions as I tried to determine the best way to get to the battlefield.